With the release of vSphere 5.5, VMware supports a new command line utility: Ruby vSphere Console (RVC). RVC is a Ruby based interactive object oriented command line utility. It was initially released as a Fling some years ago. RVC has support for both, the Windows version of vCenter Server and the vCenter Server Appliance (VCSA). It is similar to other command line tools like PowerCLI or ESXCLI and can be used to manage and troubleshoot vSphere environments. 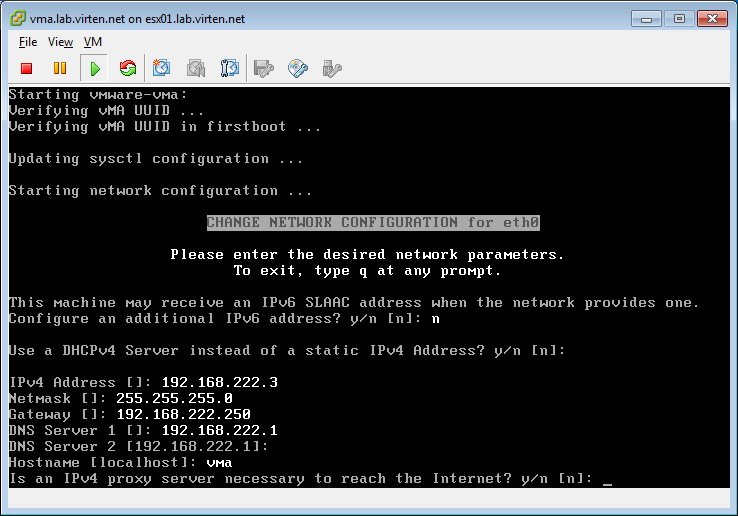 In this post I am going to show how to install RVC on the vSphere Management Assistant (vMA). If you are using the vSphere Management Assistant (vMA) on a daily bases you might want to simplify the login process. Public Key authentication is an authentication method that relies on a generated public/private keypair and enables the login without entering a password. Are you looking for a free alternative for a Windows based Active Directory controller? The recently published version 4 allows Samba to be an Active Directory domain controller, participating fully in a Windows Active Directory Domain. This is a great replacement for a Windows based AD Controller if you want to use Active Directory features in your Lab. 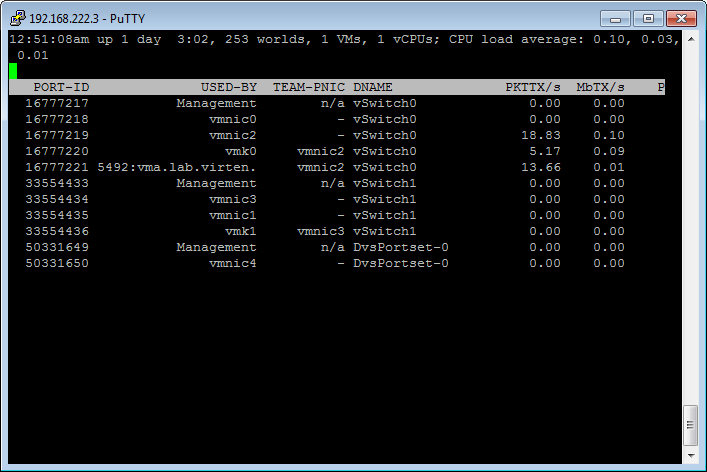 Since PowerCLI has gotten so powerful, the vSphere Management Assistant (vMA) seems to be obsolete. But it is still a great management tool and indispensable for some monitoring tasks, so it is really worth to keep the opportunities in mind. 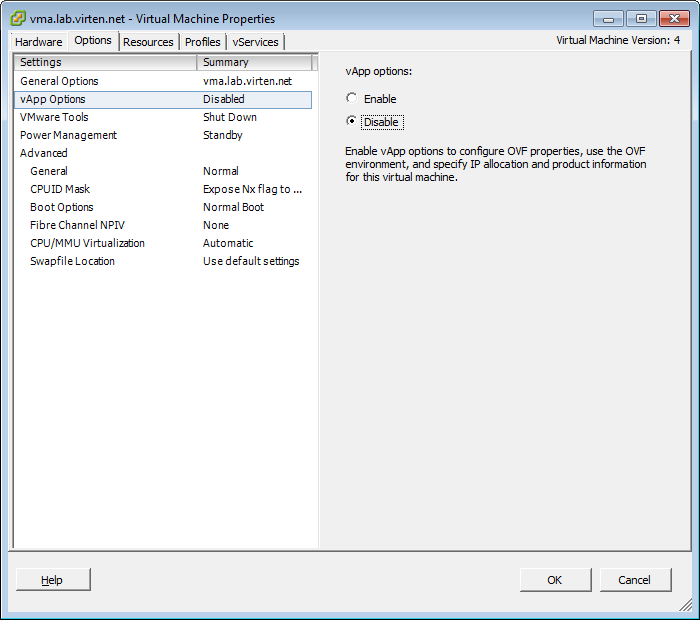 In this post i want to give a brief introduction about the installation and basic configuration of the new vMA 5.0 delivered with vSphere 5. First of all for those of you who know nothing about the vMA, it is a virtual appliance provided by VMware that allows to manage the vCenter or ESX Hosts and run scripts without having to authenticate each time. It is a small linux appliance delivered with all necessary tools out of the box. Cannot initialize property 'vami.DNS0.vSphere_Management_Assistant_(vMA)', since network 'VM Network' has no associated IP pool configuration. Rightclick your vMA in your inventory an select "Edit Settings..."
The next step is to select a password for the vi-admin user. You have to enter a really secure password containing at lease eight characters, one upper case character, one lower case character, one numeral character and a symbol such as %&#. It took me a few trys to find one the system doesn't complain about. After the password has been set the vMA is ready to use. You do not need to login through the Web-Client as this does only support changing the IP-Address configuration. Close the console window and open up a ssh session with putty for example. Login with the vi-admin user and your password. The vMA is now ready to use. The first password you have to enter is the vi-admin password that has been set during the first boot of the vMA. The second password is the password of the domain administrator.